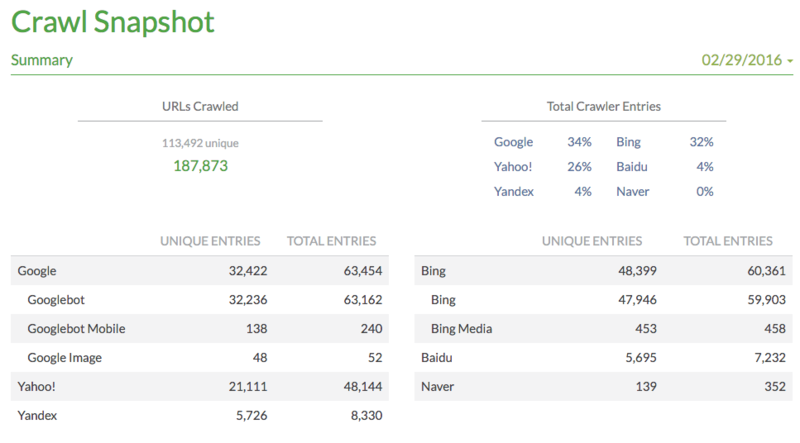 Crawl Analytics are an add-on module to Keylime Toolbox and process server logs to determine what URLs search engines are crawling and what technical issues the search engine bots are encountering that prevent complete indexing of the site. If you would like information about adding the Crawl Analytics module, just let us know at support@keylimetoolbox.com. 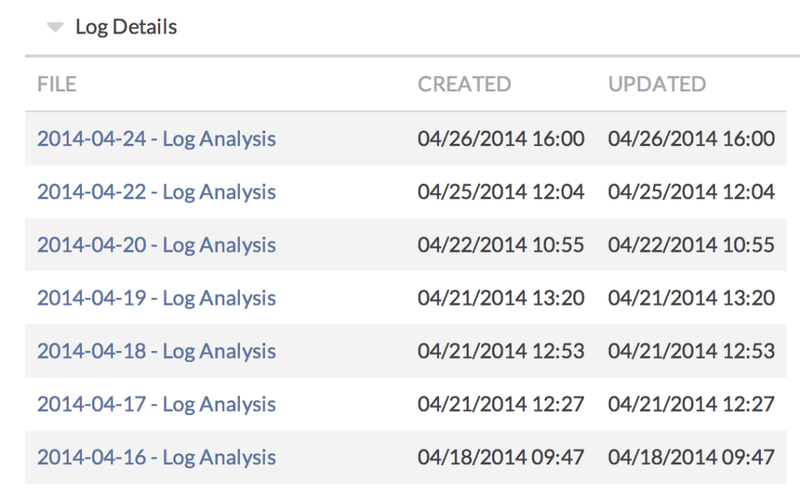 See our Crawl Analytics Set Up Guide for information on how to begin uploading logs to Keylime Toolbox. Server web access logs provide crucial details about how search engines crawl a site. From the logs, Keylime Toolbox can provide details about which URLs are being crawled and how often, pinpoint technical issues, and measure improvements. 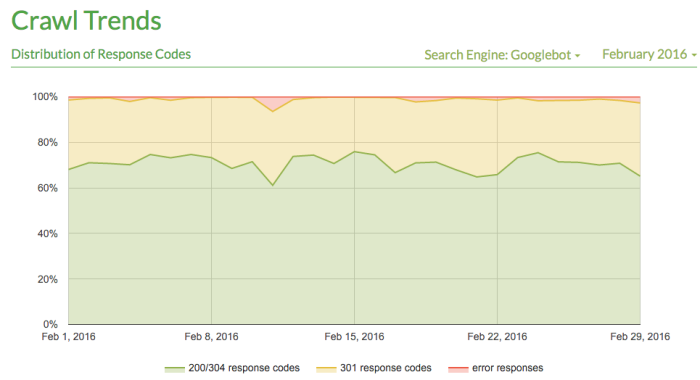 Keylime Toolbox reports show how search engines see the infrastructure of the site, what pages they find valuable, and what obstacles are keeping the site from being fully crawled and indexed. Much of this data is only available from the web access logs. To access Crawl Analytics, choose a reporting group from the dashboard, then click Crawl Analytics. The Crawl Trends tab shows the overall distribution of status codes so you can monitor the percentage of number of URLs crawled successfully vs. ones that return an error. The Crawl Snapshot provides more detailed data by day. The second section shows the distribution of status codes for the chosen day and chosen bot. Hover over a bar to see the total. The Top URLs section shows the 10 URLs crawled most often by each search engine bot. (The list of all crawled URLs is contained in the downloadable Excel file.) This report can show you at a glance if critical issues exist with the crawl (for instance, if the wrong URLs are being crawled or if significant canonicalization issues exist). Expand the Log Details section at the bottom of the Crawl Analytics tab to view the list of Excel files available to download. Summary – similar to the information provided in the Keylime Toolbox interface reports. Site hierarchy by search engine – a breakdown of the number of URLs crawled in each subfolder and the count of each status code returned for each folder. 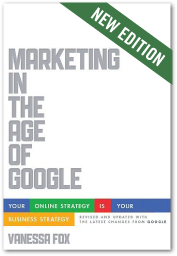 This can help you pinpoint the specific sections of the site infrastructure with issues. Search engine-specific tabs, grouped by status code – lists of all URLs crawled by each search engine for each status code. Canonicalization – all of the parameters crawled, how many URLs were crawled with each parameter, the number of values detected for each parameter, and sample URLs. User agents – a list of all user agents found, and a reverse lookup on IPs addresses to ensure the hostname matches.